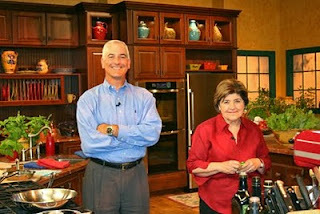 Gwenn Friss was in our Rhode Island PBS studio audience last Thursday night during the Ciao Italia TV special. Here is a link to Gwenn's vivid story, written for The Cape Cod Times (CapeCodOnline.com) and its sister publication, The Standard Times (SouthCoastToday.com). 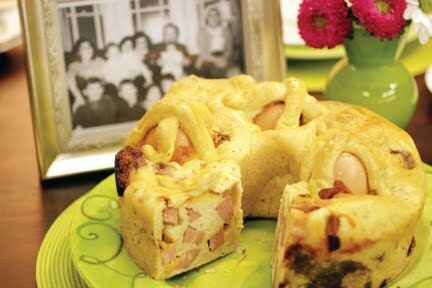 As an added bonus, grab a few delicious summer recipes for your collection! "Whatever hits the fan will not be evenly distributed." "When a woman's mind goes blank, her reaction is to snap out of it. When a man's mind goes blank, his reaction is... "There we go... I'm in 'the zone'..."
"It's Fathers Day. You should stop giving your parents clothes. Even when you were conceived, your Mom got a maternity dress and your Dad got a paternity suit. Today just give the old man some of your time. That's the one thing we all run out of." 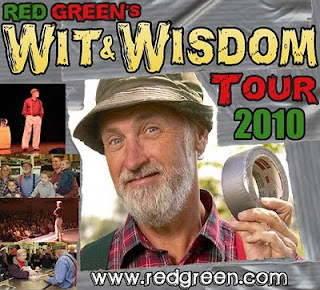 Red Green (Steve Smith) will bring his one-man show – The Wit and Wisdom Tour – to Providence, Rhode Island, this summer. This show is Red Green's only New England performance this summer, so if you're a local fan, get your tickets now! For more information about The Red Green Show and Steve Smith, the actor who plays the title role, read our previous story. "We've Got Your Summer at Rocky Point"
Missing Rocky Point Park? 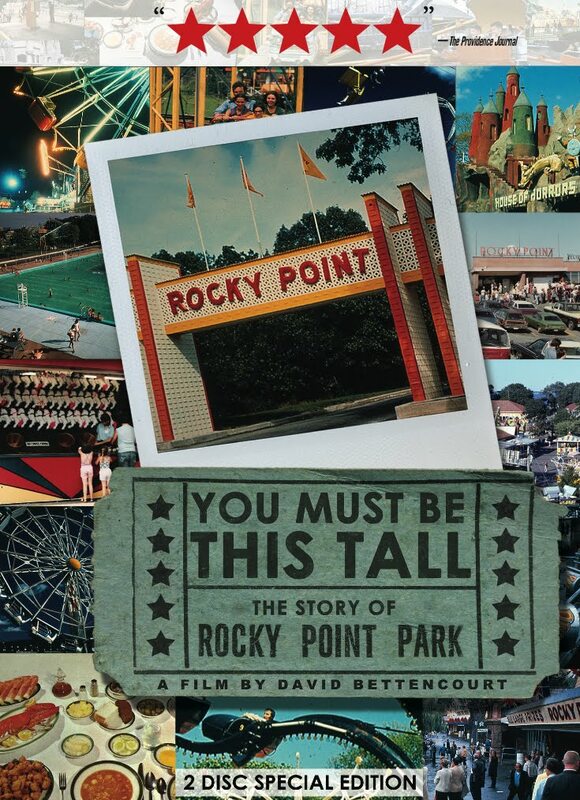 Let WSBE Rhode Island PBS help cure some of those nostalgic summer blues this July with local filmmaker David Bettencourt’s award winning documentary You Must Be This Tall: The Story of Rocky Point Park. The feature-length film, airing Saturday, July 3rd at 7:00 P.M. and again on Sunday, July 4 at 11 P.M., looks at Rocky Point’s 150-year history, from its prominent place in New England summers to the ghost town it has now become. 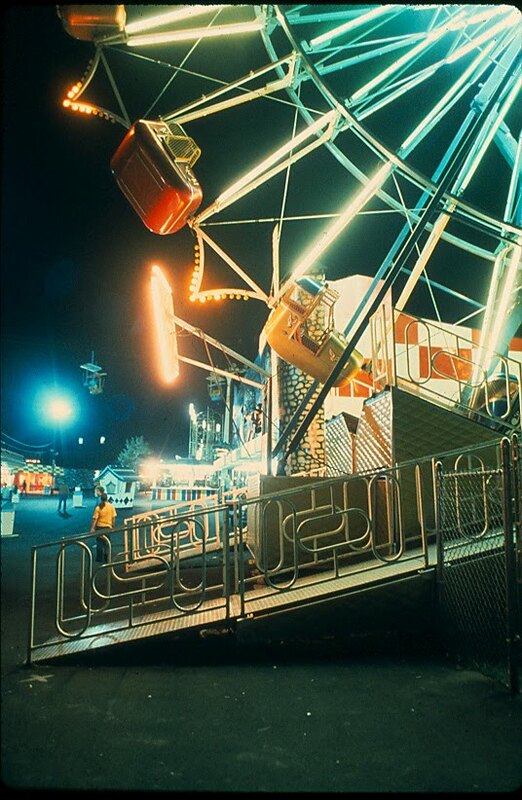 Every summer for decades, generations of New Englanders flocked to Rocky Point Park - the amusement park and shore dinner hall once situated on Warwick Neck, along the coast of the Narragansett Bay - for a game of Sunday baseball, for a picnic, for a rock-n-roll concert, or to ride on the Tilt-a-Whirl. 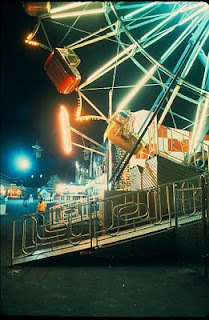 Then, in 1996, the park closed. With its rides sold off, the park sat for years as a ghost town, scheduled for demolition and primed for the construction of condominiums. You Must Be This Tall: The Story of Rocky Point Park is told entirely by the people who lived there, who worked there, and who spent every summer at the park. The film uses archival footage, family photos, and memorabilia from the park, as well as photographs taken for this film of the inside of ruined buildings and the grounds of the former amusement park. From the Shore Dinner Hall to the Midway, from blizzards to iconic rides, no aspect of the Rocky Point Park experience is overlooked. 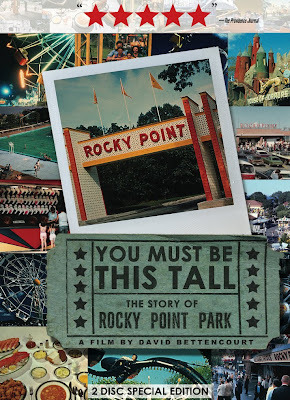 You Must Be This Tall: The Story of Rocky Point Park takes viewers on a rollercoaster ride all its own. --- In 1847, Captain William Winslow and his passengers aboard the Argo landed at the area known as Rocky Point to enjoy a Sunday picnic. --- The 19th President of the United States, Rutherford B. Hayes, visited Rocky Point Park and became the first president to make a telephone call. He talked briefly on this new invention with Alexander Graham Bell, who was 13 miles away in Providence. --- George Herman “Babe” Ruth played numerous baseball games at Rocky Point while playing for the Providence Grays. --- The park was completely destroyed by the Great Hurricane of 1938. It took years to re-build. --- The park was again destroyed by Hurricane Carol in 1954. Owner Vincent Ferla spent over $100,000 to re-build it. At its re-opening, traffic is so bad that it holds up major roads in Warwick and Cranston. -- The Cyclone, sold off at a ride auction in 1996, is currently running at Sandspit-Cavendish, an amusement park on Prince Edward Island, Canada. 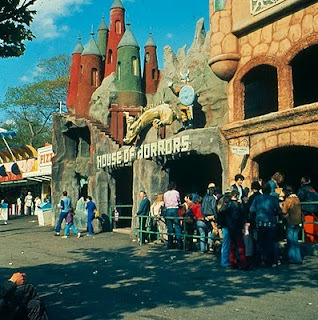 -- The Corkscrew was bought, moved and re-named “The Wild Thing.” It currently runs at a theme park outside of Seattle in Federal Way, Washington. Jim Hagan will host the program. Another WSBE Rhode Island PBS production hits the Internet! Costantino's Round Table airs every Wednesday at 7PM on WSBE Rhode Island PBS. But if you can't watch it at that time, or if you missed an episode - or if you just want to watch a segment over again - the series is now waiting for you on our YouTube channel. Your comments about the show are always welcome! Celtic Thunder - It's Entertainment! Saturday, June 12 at 8:30 PM. Since 2007, Celtic Thunder has been delighting audiences with an eclectic mix of traditional Irish music and contemporary pop ballads. In the group's latest special, It’s Entertainment!, the singers pay tribute to those who paved the way for them, by evoking the era of big bands as they perform some of the greatest songs of the last 30 years. Working in the tradition of a true variety show, the performers cover a mix of styles, songs, and singers, saluting some of their musical heroes, including: Fred Astaire, Neil Diamond, Jim Croce, Chicago, U2, Michael Buble, and The Beach Boys. Combining solos with small group and ensemble numbers - all songs performed with the men's signature style and high energy - Celtic Thunder provides something for everyone in this feel-good show. Want to experience the energy firsthand? Celtic Thunder is coming to the Veterans Memorial Auditorium (VMA) on Tuesday, December 7th, and Rhode Island PBS has premium tickets available. To enjoy the rollicking televised concert, and to get tickets for the live show in Providence, tune in Saturday, June 12 at 8:30 PM (cable subscribers can also watch the show on Sunday, June 13 at 10:30 PM). Over a dozen years ago, 10 college friends realized they all loved to sing and decided to start an a cappella singing group. None of them thought it would be anything more than something fun to do throughout college. Nor did they think that new members would want to join after some members graduated. But the group and its popularity grew to become Straight No Chaser. While their first full length albums featured Christmas music, the band was never just about the holidays, and their most recent release, “With a Twist,” is finally getting them back to their roots of reinventing popular songs to make them stand out. In a musical landscape that is so inundated with digitally processed sounds and dark themes, Straight No Chaser offers an orchestra of pure human voices with a sense of humor. This group has been credited with “reinventing a cappella in a modern pop landscape” and having fun while doing it. Just watch the video to see how much fun they have! The young men of Straight No Chaser bring all that fun and talent to the Rhode Island Center for Performing Arts at the Historic Park Theatre on Park Avenue in Cranston on Sunday, November 21st, and WSBE Rhode Island PBS is pleased to offer tickets to this unique concert experience. Tune in on Sunday, June 13th at 6 PM to watch and enjoy their televised concert special, Straight No Chaser Live in New York, and to get details about tickets to their local live performance in Cranston. Canadian folk sensations Dala have come a long way from their high school music class. The duo - best friends Amanda Walther and Sheila Carabine - were the only Canadian act invited to play at last year’s 50th Anniversary Newport Folk Festival. Now Rhode Island will have the chance to experience their seamlessly blended harmonies once again with the premiere of their PBS special Girls from the North Country. Joined at the Richmond Centre for the Performing Arts in Ontario, Canada, by Oh Susanna and the Good Lovelies, the music they create evokes the beauty of the lush and rugged Great White North. By intertwining their own songs with classics by Joni Mitchell, Neil Young, Bob Dylan and Gordon Lightfoot, Dala creates a concert to remember. The pair is currently touring North America and WSBE Rhode Island PBS has tickets to Dala's performance on Wednesday, November 17th, at the Met Cafe in the Hope Artiste Village, 1005 Main Street in Pawtucket. Tune in Wednesday, June 9 at 10 PM for details! Ciao ItaliaTM - television's longest-running cooking show – celebrates its 20th season this year. 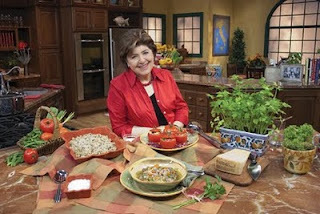 Chef Mary Ann Esposito and her crew are back in Rhode Island to tape a whole new season of shows at the Rhode Island PBS studios in Providence (always the most aromatic two weeks of the year at the station!). At 6 P.M. on Thursday, June 17, the first 40 fans who register will have dinner and wine with mary Ann at WSBE Rhode Island PBS studios. Guests will also be part of a live studio audience to see a cooking demonstration by Mary Ann, which will air live beginning at 7:30 P.M. We'll be taping those segments for re-broadcast. Between the cooking segments, in-studio guests and viewers at home will get a preview of never-before-seen episodes from Ciao Italia's new season. WSBE Rhode Island PBS studios are located at 50 Park Lane, Providence, RI. 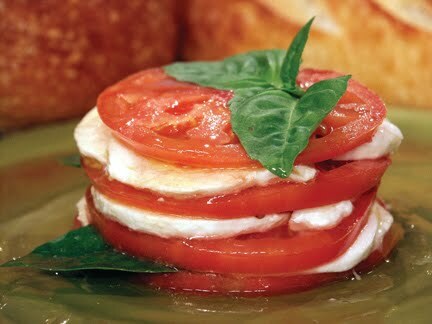 Tickets for this event are $75 per person, and include the dinner and wine meet and greet with Mary Ann, plus a commemorative collection of recipes from 20 years of Ciao ItaliaTM. 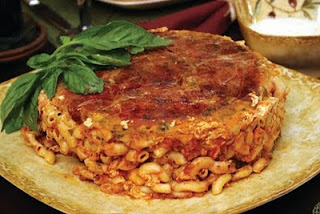 Dinner is courtesy of Venda Ravioli on Atwells Avenue, Providence. Wine is courtesy of Gasbarro Wines, Atwells Avenue, Providence. Tickets are strictly limited to the first 40 registrations, paid in advance. This event is open to guests 21 years and older only. 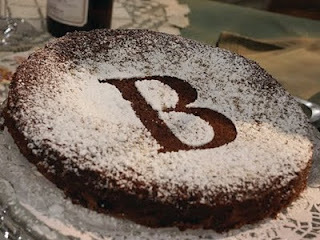 For tickets, call 401-222-3636 x0, or visit www.ripbs.org. 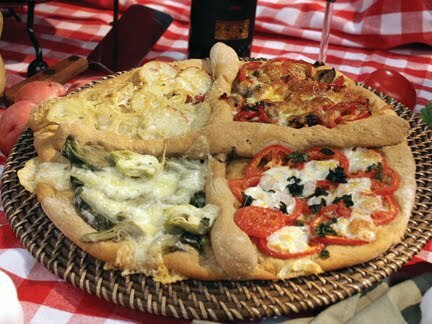 If you can't make it to the studio, you can tune in on Thursday, June 17 at 7:30 P.M. for information about acquiring your own set of Ciao ItaliaTM commemorative recipe cards. Three hundred years ago, doctors explored anatomy and physiology by using a corpse and delving around inside it. It was a time of great discovery, but it also marked the beginning of the illicit trade in bodies. Today, companies trading in body parts today can make up to $250,000 for the component parts of a whole body. With demand high, some unscrupulous traders have used the bodies of those who haven't given their permission, with devastating consequences. Horizon investigates this gruesome trade. There is a brief interview with Dr. Marjorie Moore, an anatomy teacher formerly from URI.